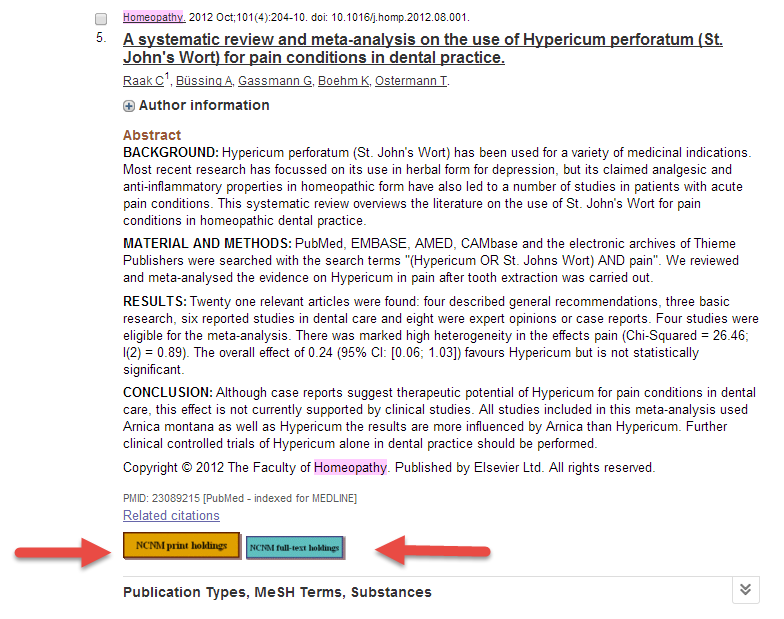 Link to PubMed from the NUNM Library webpage, or bookmark this customized link. Perform your search as usual. Articles with electronic access will appear with a blue “NUNM full-text holdings” button. Click on the button to read the article. Articles we carry in the paper journals will appear with a gold “NUNM print holdings” button. This feature will also work off campus, as long as you enter PubMed from the “off-campus users” link on the NUNM Library databases page. As always, if NUNM does not have the article you need, you may request a copy by filling out the interlibrary loan form on the Library website.